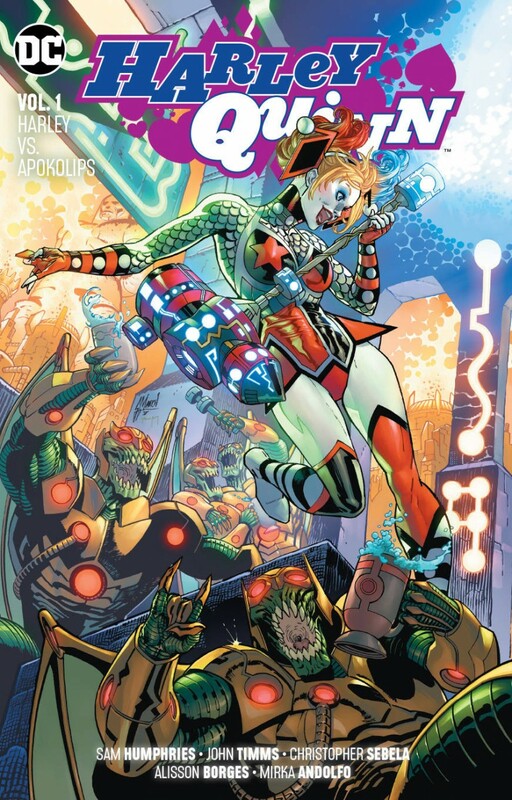 New series writer Sam Humphries’ run on HARLEY QUINN begins here! While on a tropical vacation, Harley Quinn is kidnapped by two Female Furies from Apokolips-and they’re making her an offer she can’t refuse: join the Furies, get super- powers and do anything she wants! It’s a sweet deal, and all Harley has to do in return is hunt down rogue Fury Petite Tina. The bad news: Petite Tina is anything but petite! Hope that hammer got an upgrade, Harley.